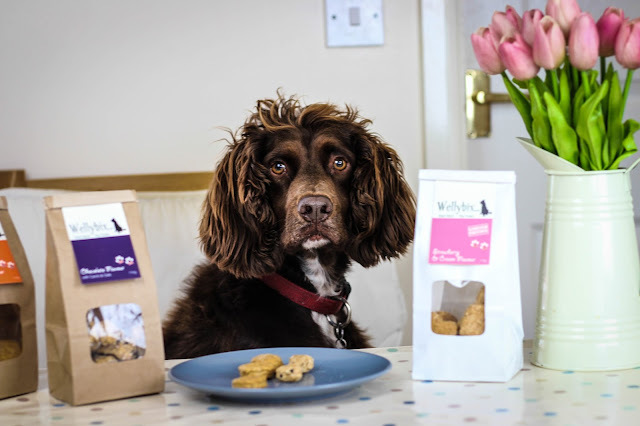 It's about time Harry made another appearance on the blog and this time he's been reviewing Wellybix dog biscuits! 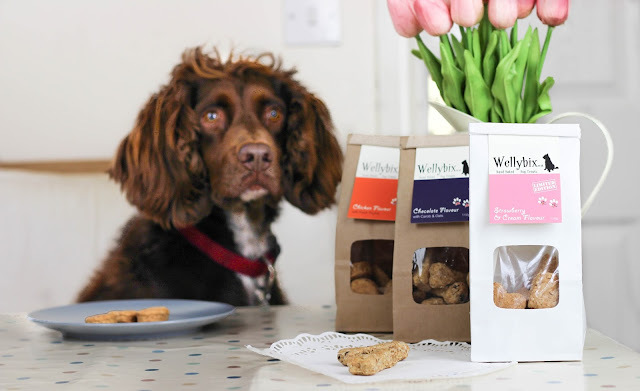 You may have read my DIY dog treats post from last year but sometimes it's hard to find time to make your own or be original with flavourings so thankfully Wellybix are here to do the work for us. The biscuits are handmade and free from any nasties such as artficial colours, flavours and enhancers which is reassuring for us pooch owners. 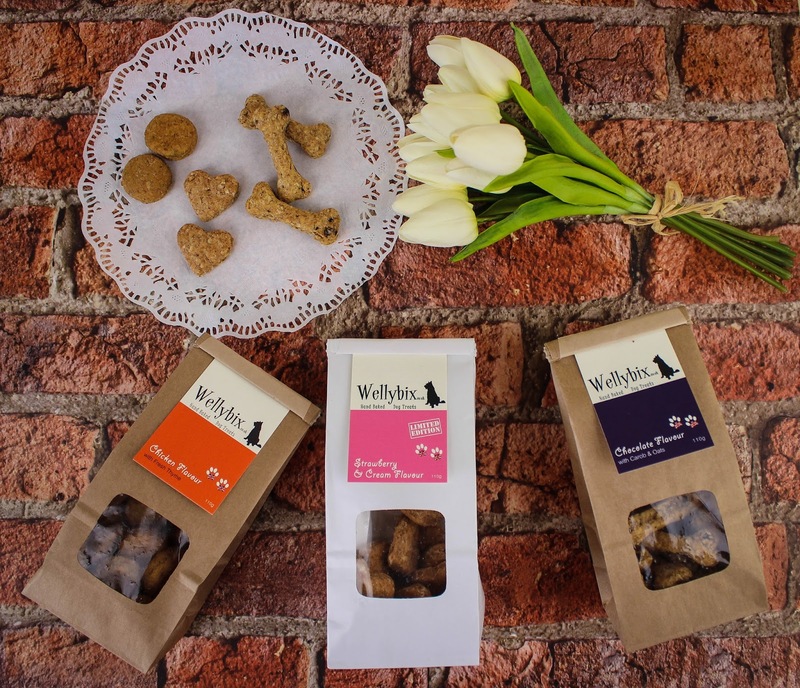 They also have a great selection of flavours to choose from so there's plenty of choice for your four legged friends. The biscuits themselves actually smell amazing! It was tempting to try one myself but I thought I'd leave the tasting to Harry who tried the chicken flavour with fresh thyme, chocolate flavour with carob and strawberries & cream flavour; all of which smell fresh and flavoursome in the packet. Each bag is cleverly packaged in recyclable brown bags which fasten with a wire insert at the top, ensuring they keep nice and fresh and each flavour has the ingredients written on the back so you know exactly what is in them. Harry has particularly enjoyed the chicken and fresh thyme biscuits the most, knowing he's in for a treat as soon as the brown bag appears from the cupboard. They work extremely well for getting him to pose for dog photography too! He will happily sit obediently knowing he's in for a tasty treat. Did you know Harry has his own Instagram? His handle is @harrytherescuehound for anyone who wants to follow his adventures. My personal favourite are the strawberries and cream flavour. It makes a nice change from meat based dog treats and I like to think they're a nice after dinner treat too for my little chap. 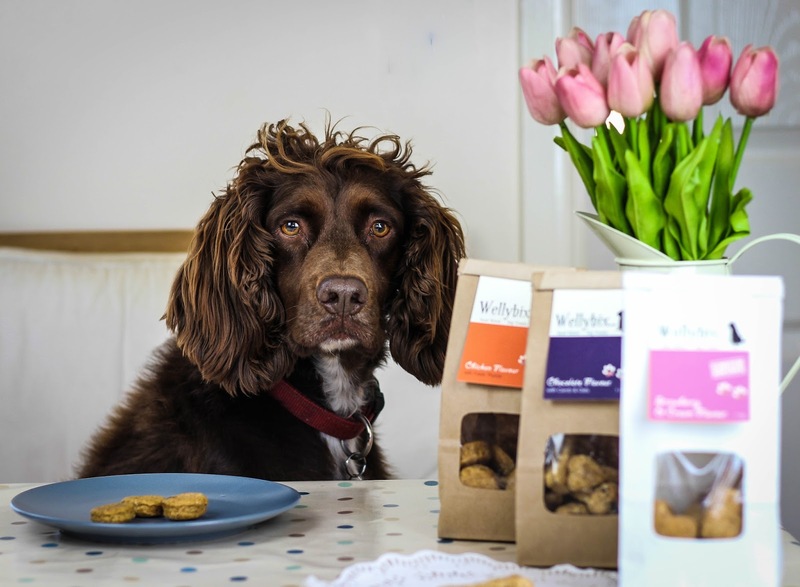 After thorough tasting, Harry can safely say that these treats are delicious and we will certainly be ordering more in the future. Harry is keen to try the peanut butter and spelt flour biscuits next. What dog doesn't like peanut butter!? 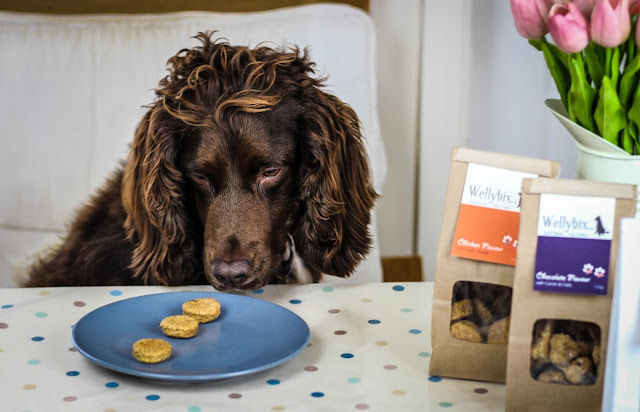 Has your canine tried Wellybix yet?